Hamre Team and RE/MAX advantage - MLS Ottawa Real Estate Market. 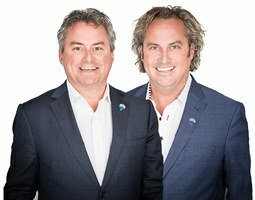 We help connect Listings-to-Buyers fast – The HAMRE TEAM delivers mass and focused exposure on multiple web sites and has the strength of the RE/MAX network. RE/MAX is the #1 Brand search on the web. RE/MAX dominates organic searches in Canada including Google, YouTube and more. RE/MAX have the most productive agents in Canada – RE/MAX agents are 3x more productive than the average agents. For the HAMRE TEAM real estate is not a hobby. We are ranked in the Top 20 RE/MAX agents in Ontario, Top 50 RE/MAX agents in Canada and the Top 100 RE/MAX agents World Wide. Advertising attracts more Buyers – The HAMRE TEAM’S knowledge of marketing, presentation and experience in technology means you get qualified exposure and high-end results. RE /MAX dominates all major media in Canada. The strength of the brands and the level of expertise make for a wonderful experience. #1 Voice of real estate – RE/MAX is the most quoted source on the real estate market. This assists the HAMRE TEAM’S strength in relocation in and out of the Ottawa communities. We are registered with a number of relocation companies including RE/MAX and Brookfield relocation. We do Military, RCMP, Government and Corporate relocations. It is a large percentage of our business. Experience counts – “Results define us”. With over 30 years of selling real estate in the Ottawa area, the HAMRE TEAM is a family based team with honour, trust and know how. Year after year we rank in the top 1% of RE/MAX agents across Canada. We know the current inventory, we know the market conditions and we can strategically position our clients to win. We are focused on leading which offers our clients the competitive advantage you need. Practice makes you a Pro – RE/MAX agents sell 1 in 3 properties in Canada and are involved in 1/3 of all transactions. The HAMRE TEAM negotiates an offer a little more than everyday and a half. They have the feel, the techniques and the expertise. Negotiate with a “Pro” on your side. Knowing you’re in good hands – Having the peace of mind to know that the HAMRE TEAM is on the job. We are easy to reach via phone, email or internet. We are ahead of the competition in networking, internet presence and social media exposure. If you are interested in one of our listings, we want to show it to you. Speed matters in the real estate environment. Have the advantage of experience represent you.